New. 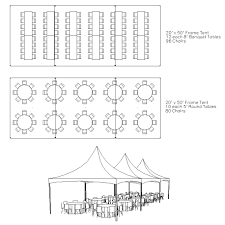 20x 50 frame tent package holds 10 -60" round tables and seats 100 guests. for different configurations call our office to discuss adding a bar and dancefloor.